Excellent for the bare ankle fashion, Tommy Hilfiger Plain Cotton Invisible Footie Socks will protect and care for feet, sight unseen. 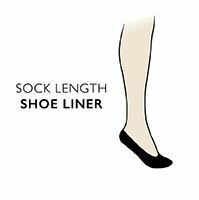 These below-the-ankle shoe liners, available as a convenient twin pack, come in a high quality cotton rich blend with as few seams as possible, including hand linked toes for smooth seams and a shaped heel section. Branding is kept to a minimum too, with the sole decoration being a small, subtle colour shield woven into the upper of these Tommy Hilfiger Plain Cotton Invisible Footie Socks.